A recent survey conducted among the small business owners has shown that one of the tasks they find most difficult in setting up their business is designing a logo for their company, blog, etc. While to some of you this may look like a thing that does not require much professional input and you may think you can easily do it on your own, many people feel this task to be quite overwhelming and are more inclined to leave it to a professional designer, rather than attempting to create a logo all on their own. At this point, we should also factor in the cost of hiring professional services. Creating a business logo can cost from a few hundred dollars to thousands and some big brands are even prepared to pay millions to get a unique logo. However, small businesses are often in no position to afford such expenditures and many of their owners are seeking for viable alternatives. This brings us to the next question: Does a small business really need a designated logo? And aren’t there other alternatives, too, that can substitute the professionally designed logo quite adequately? In fact, there are several alternatives that a small business can turn to. Note that we are not saying that these alternatives can completely substitute a good professionally designed business logo or that they can match the benefits it can offer. A professionally designed and bespoke logo is still the best way to build brand recognition and identity, but in case you decide to try and do it yourself, here’s what might prove to be good strategies. Negative space logos can be really beautiful and memorable. They use the background of the text to form an image or text. These types of logos have gained wide popularity recently. They are often an intricate combination of fore- and background text and images intertwined. When you look at a negative space logo, you can often see just one of the images and upon a more detailed examination, the other image or text becomes visible. However, you need more than just the basic graphic skills and quite a lot of creativity to come up with a good negative space logo on your own. Often, the brand name of the business written in a good font can act as a logo quite well. If you decide to give this alternative a try, there are a few steps that you are advised to follow. First, start by choosing the right font. 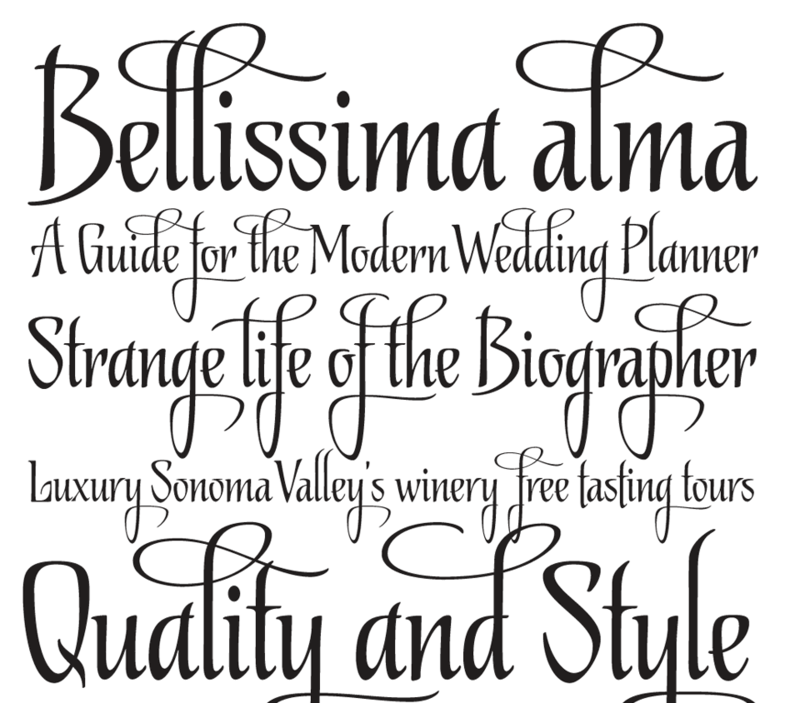 Stay away from the boring old fonts like Helvetica, Times New Roman, etc. Instead try something more interesting out. A word of advice – do not go anywhere near the Comic Sans! At a certain point in time, it was so overused in the web design that it has become the font most hated by the web and graphic designers and a synonym for bad design. Next, you can play with the letter spacing in order to make the font more appealing. The technical term for tightening up the letter spacing is called squinching. Finally, you can play with colors a bit, but not too much. For instance, you can choose a basic color that matches your brand’s theme and a secondary color to use on one or two letters of the brand name. Alternatively, you can turn to more advanced typography for spelling out your brand name. If you don’t think you can design typographic letters on your own, there are resources that can help you out with readymade fonts, but they are usually paid options. The so-called dingbats can be really helpful when you want to make a logo on your own. These are tiny ornaments or characters used in the typesetting. You can use the technique of super-sizing to enlarge such an image and incorporate it into your logo. However, you must note that you should use a vector graphic editing program for this purpose, as otherwise it would just pixelate the image. You can even find video tutorials on how to do this online. Finally, here are a few of the characteristics that a good logo should possess. It should look equally good in color and in black and white. – Your logo will appear in different settings, so it is good that you follow this rule for the cases when you might need it too appear monochromatic. It should look equally good big and small. – It should have an equally good appearance on a business card, a billboard or the header of your website. You should be able to dress it up or down as need be. – You can play with your logo for different occasions like Christmas and other events, adding elements to it without changing its basic shape. It should be recognizable even without words. – This is the most important of all characteristics. Your logo should be unique, meaning that your audience should be able to recognize it even if your brand name is not attached to it. Your logo is an inseparable part of your brand’s identity. Thus, it should stand out and speak about your brand. If you do not feel up to the task of designing a unique logo for your small business, remember that you can always find a professional who can do the job for you. And it may not necessarily cost you an arm and a leg to get a good logo, as many of the professional graphic designers charge fairly for their services.